Today’s gift guide is in theory, on gifts for the in-laws. But as I described it to a few people – it’s really about buying gifts for people who can be tricky to please. This assortment of presents are extremely versatile because they generally don’t veer too much into any niches, nor do they really require a certain sense of humour or lifestyle to enjoy them. They’re what I like to call universal gifts – things you can buy for your kid’s teacher, your “I don’t need anything, really” best friend, and yes, the in-laws, the people you are trying to impress but don’t necessarily intimately know. They’ll love these gifts – and so will everyone else on your list, trust me! I couldn’t be the founder of the Canadian Gift Guide and not include at least one maple syrup gift per holiday season – right? Pure Infused Maple Syrup is an offshoot of Hutchinson Acres, an Annapolis Valley-based maple farm in Nova Scotia. Hutchinson Acres produces their own syrup, but when they wanted to expand their lineup, they turned to a local chef and culinary instructor, Peter Dewar, to create a collection of five flavour-infused syrups – three of which are sweet and designed for desserts, two of which work well in cooking. Those flavours include exotic choices such as Lavender & Chai – perfect for sweetening your hot beverage – or Chipotle & Lemongrass – which makes a tasty glaze on your fish or chicken. All of the ingredients used to flavour these syrups are 100% whole and natural, with many ingredients sourced naturally. That means when you’re drizzling the brand’s Vanilla, Cinnamon & Star Anise syrup onto your waffles, whole star anise and whole cinnamon sticks were used to give it that spicy, dreamy flavour. You can buy each bottle on their own, or opt for the ready-for-gifting sampler pack that includes five mini-bottles in a uniquely designed package. If you know someone that needs to bring a little peace and joy into their lives, look no further than this beautiful new coffee table book. 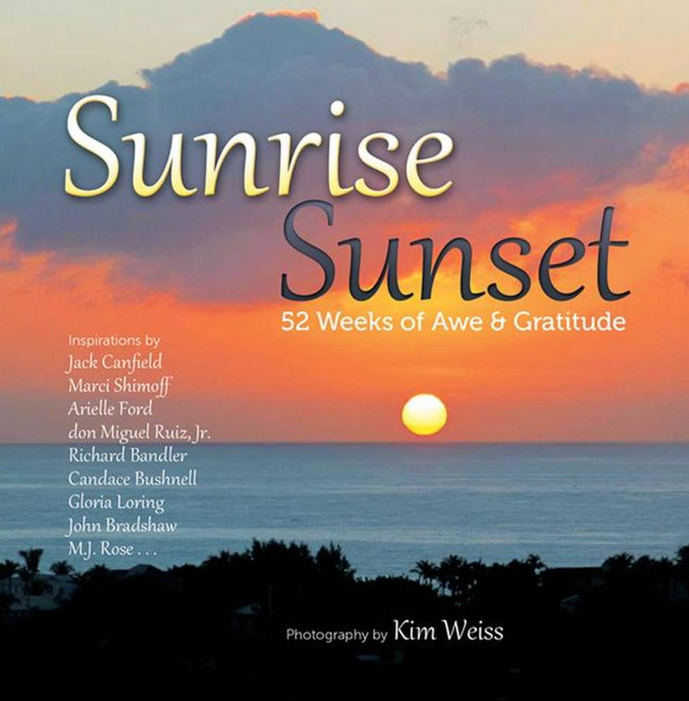 With stunning photographs of the sun soaring high or sinking low into the sky, each photo is accompanied by inspirational sayings, poems, and musings from friends and mentors of photographer / author Kim Weiss, as well as dozens of other notable philosophers and celebrities. The photos are all taken from the same vista, but it’s astonishing how different Weiss’ subject looks each day she snaps it. Each page also includes weekly reading recommendations, making this reflective book something of a calendar that your loved one can pull out all year round to spend a few minutes thinking and being grateful before getting started on their day. It’s also perfectly priced to work as a stocking stuffer! When in doubt, ply ‘em with liquor and sugar. I’m kidding, but for reals – there aren’t too many people that would turn down one of Chocolaterie Bernard Callebaut’s delicious seasonal boozy cherries. These festive favourites go through an expansive, eight-step process to make their way from the cherry trees of B.C. into your home, kicking off with a five-month Kirsch ‘bath’ to give them that strong liquor-infused flavour. Each cherry is lovingly hand-dipped into the brand’s signature semi-sweet chocolate infused with fondant sugar and maraschino flavouring, and wrapped in a beautiful gift box. It’s a perfect seasonal indulgence that won’t stay on the shelves for long, so get yours while they last! Growing up, one of my favourite gifts to receive was moccasins – it was a regular tradition in our household. Today, these snuggly slippers have been lauded for both their function AND their fashion, making them a perfect choice for any tough-to-buy-for folks that you actually want to spend a little money on. Kitigan, which is the Ojibway word for ‘garden’, sells the real deal. They function as a marketplace for up-and-coming Aboriginal artisans – from painters to sculptors to jewelry designers to yes, moccasin makers – to showcase their wares and create a solid revenue stream borne out of creativity, talent and skill. It’s worth giving their entire site a look for some authentic pieces from some incredibly gifted designers and creators, although their moccasins are one of the site’s bestsellers – and for good reason. Rendered in sturdy hide, these cozy moccasins have a plush sherpa lining and are trimmed with fluffy fur. The intricate beading of course, is the showstopper – and Kitigan carries a pretty vast range of designs for infants, children, women, men, and even unisex styles. In our climate you really can’t go wrong with a comfortable pair of slippers – especially ones this well-crafted! If the folks you’re shopping for are into their wines and cheese, don’t try out outcheese or outwine them. They will beat you every time. 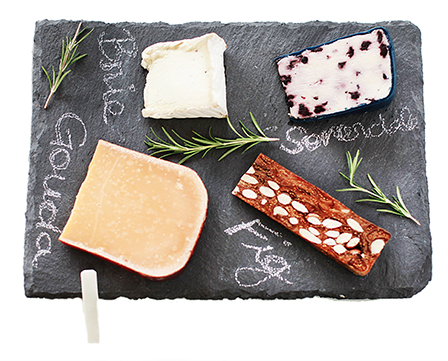 Instead, opt for something they can use at their next gathering, like this stylish slate cheese board. With a rustic live edge and a dark background, it’s a showstopping piece that still manages to let the plat du jour – that would be cheese – shine. And this handy board also comes with with soapstone chalk that is easy to use for identifying what cheeses are being served up, but it’s also super easy to clean. As a handy pro tip, try refrigerating your slate for a few hours before your party – it’ll keep those cheese from getting ‘sweaty’ as the night wares on. On a final note, SPARQ Home’s products are available at a number of retailers in Canada, including The Room Collection, Premiere Gift Company, and Osoyoos Duty Free Shop. Contact them to find the nearest location by you! I don’t know about your in-laws, but mine are pretty device-savvy. However like most people with a million apps and constant use of their phones and tablets, staying powered up is always a challenge. 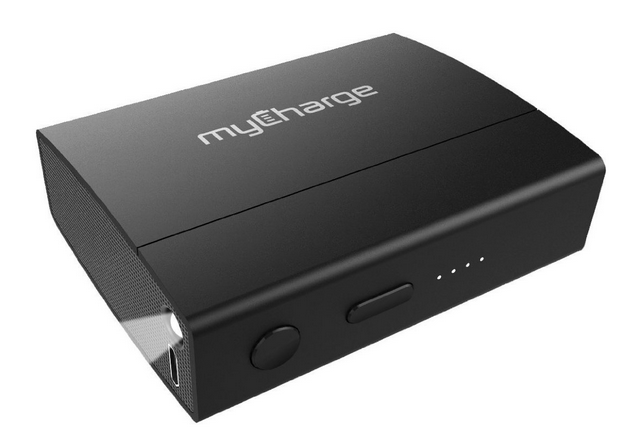 The myCharge AmpMax is a pretty ingenious solution. It’s roughly the size of a deck of cards and can power up virtually any device you’ve got that has a USB charger. What’s particularly cool is the myCharge AmpMax detects what’s been plugged into it and automatically delivers the maximum charging power that device will allow, meaning your phone, ereader, tablet, MP3 player, or GPS will get fired up that much quicker (in fact, up to 25% quicker). And of course, this battery is rechargeable – four handy lights help you keep tabs on when your alternate power source needs some more juice itself. As an extra Macgyver-type bonus, it even comes with a built-in LED light so you can see what you’re doing, if say, you’re road tripping down a dark highway and need to plug in that GPS. Today’s subscription market is cooler than ever – with everything from artisan coffees to beauty products delivered to your door on a monthly basis. This subscription service is pretty unique and extremely practical, particularly if you’re shopping for a chef. As any experienced home cook will tell you, good, fresh spices are key to making a dish sing. A simple replacement of your spices can liven up your cooking in no time – but what if you received them in the mail instead? That’s the concept behind Spice Post, a Canadian subscription service that sends two, high end spice packets to your home on a monthly basis on a specific theme, alongside some handy recipe cards to give you literally a dozen ways to use your spices and give your kitchen routine a kick in the pants. It’s awesome for novice cooks and master chefs alike, and pretty affordable too – a six-month subscription is just $55 including tax and shipping (and if you go for a full year upfront, it’s just $100 – saving you $20 than if you just did a month-to-month subscription). If you’re like me, then you’ll agree that books can make wonderful works of art. 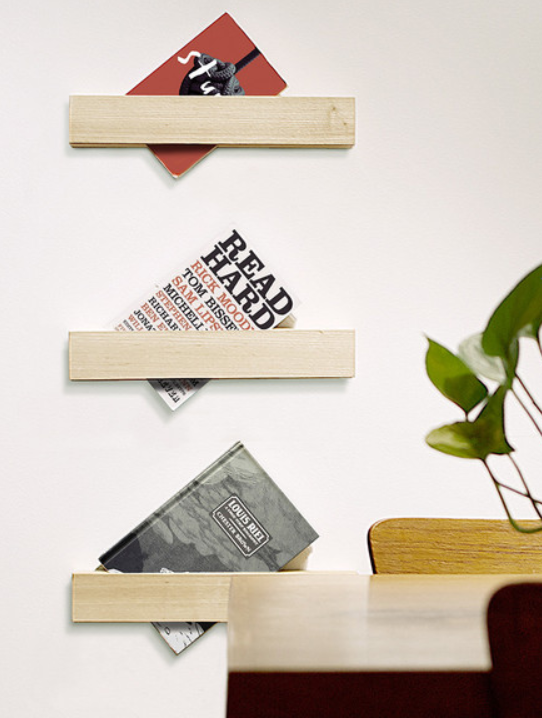 These innovative, handcrafted shelves from Toronto brand Said The King can help you display your books in a sleek and stylish way. Whether it’s a title you’re reading or one with a fabulous cover, simply tuck the book into the hollowed-out niche for a striking piece of wall decoration. The shelves can be hung horizontally or at a 45 degree angle allow you to create an endless arrangement of displays. Plus, it comes in four different shades of wood, so you can pick the one that best matches your in-laws decor. While you’re at it, nab them a gift card to their favourite bookstore so they can buy some display-worthy titles for their new shelves. I raved about Opuszone’s lineup of perfect-for-gifting items a few months ago and I’m psyched to see all the latest and greatest additions they’ve got just in time for the holidays. 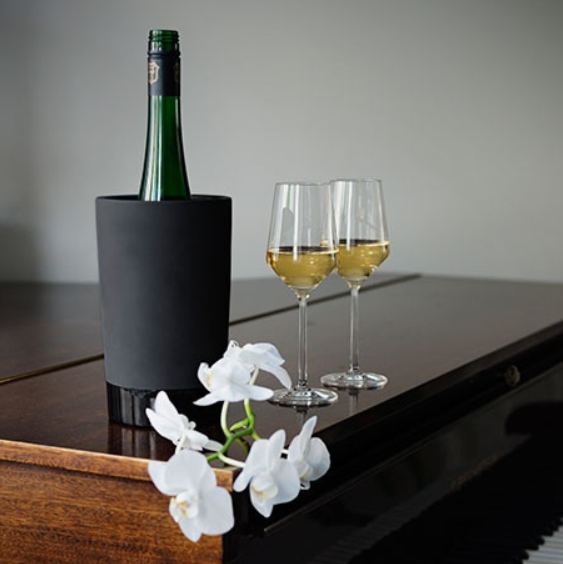 One such gift ideas is the sleek wine chiller you see above. Say buh-bye to ice buckets and lukewarm wine. All you’ve got to do is soak it in water for a minute or two and the ceramic container will start chilling, keeping your in-laws fave beverage of choice cool for up to four hours. And you can also write on it with a piece of chalk – allowing them to leave a sweet love note for one another or to highlight various bottles at a fete they’re hosting for New Year’s Eve. Finally, we’re wrapping things up with a gift that works for any member of your family. All too often in our tech-savvy world we still require and scramble for pens. Whether signing a release form or jotting down details, many a lady has suffered through rifling through her purse looking for a writing utensil, and most guys don’t have a pen on them, period. 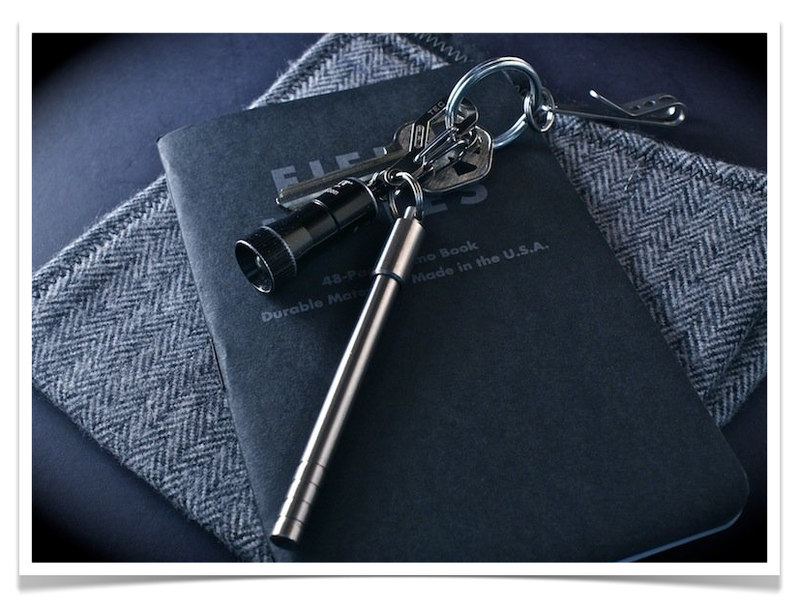 The PicoPen is designed to latch onto your keychain and put your pen at your literal fingertips so you can write things down, whenever you need to. Despite the premise of being a pen, it’s actually super tiny, at just 3″ long it’s barely bigger than two loonies stacked beside one another. And made from a durable, stainless steel case, you never have to worry about the dreaded ‘burst pen’ effect ruining your family members’ bags or pockets. Bonus points for a magnetic lid that’ll keep this thing safe, secure, and easy to access. 2) Entries are limited to one per person / per email address / per household (or more if you score bonus entries). A random draw will be conducted on or around December 7, 2014 to select the winner(s), who will have 48 hours to respond before another winner is chosen in their place. 4) Bonus Entry: 10 prizes, 10 ways to nab some extra entries into the draw. For each one you do, be sure to leave your ‘proof’ in a separate comment or else your efforts won’t be tracked. Like Pure Infused Maple on Facebook and leave a comment on their wall about which flavour you’re most interested in trying. Link back to your wall post in a separate comment below. Like the Sunrise, Sunset Facebook Page and leave a comment on why you’re interested in checking out this brilliant book. Then link back to your wall post in a separate comment below. Follow Chocolaterie Bernard Callebaut on Twitter. Follow them, tag them and me (@cdngiftguide) in a delicious Tweet that links back to this very post. Provide a link to your Tweet in a separate comment below. Follow Kitigan on Instagram. Visit their site and find a product you love, share it on your Instagram, tagging @kitiganart. Link back to your image below. Follow SPARQ on Twitter. Send out a Tweet tagging them and me (@cdngiftguide) in a tweet that includes this post’s link. Post a separate comment below with a link back to your Tweet. Follow Erikson Consumer (the distributors of myCharge) on Twitter. Send out a Tweet that tags them and me (@cdngiftguide) and link back to this post. Be sure to post a separate comment below with a link to your Tweet. Pin the Spice Post image above onto Pinterest. Then link back to your Pin in a separate comment below. Follow Said The King on Instagram. Like and comment on one of their photos and link back to that photo in a separate comment below, with your Instagram username. Like Opuszone on Facebook. Leave a comment on their wall about what product you think would make the perfect gift for your in-laws (or whoever) and then link back to that wall post in a separate comment below. Like TEC Accessories on Facebook and leave a comment on their wall. Leave a link back to your wall post in a separate comment below. Some really good ideas here – my inlaws would love the Wine Cooler Magisso. Definitely the moccasins for me. Not only are they beautiful but they’re made by Aboriginal artisans, not in a factory somewhere. Ooh, I really like the slate cheese board, that’s a great idea. I could see myself buying the Pure Infused Maple Syrup for many people on my gift list. And, I would love the Spice Post Subscription–seriously, a gift every month?! Whoo hoo! The 6 month spice subscription – every month would add a new and delicious sent to add to my cooking efforts! Great ideas! I love the Kitigan moccasins. The Wine Cooler Magnisso would be my first choice but I also like the Maple SYrup Sampler. ◾A Pure Infused Maple Syrup Sampler Pack this sounds so good -but the ◾A 9-piece Box of Hand-Dipped Cherries sounds really great as well! @ChocBernCal @CdnGiftGuide It's a holiday tradition in our house, chocolate cherries and your are the best! I like the Pure Infused Maple Syrup gift idea the best. My inlaws would totally use it, and they are hard to shop for. Pure infused Maple Syrup comment. I love the spice post subscription the best (for me!) but all the gifts are great choices for the hard to please! And seriously, they sell the coolest stuff. I’m bookmarking their page for Christmas shopping. I would love to get a MyCharge Amp Max battery as my iPad is always running out of power before I’m finished with it! The Pure Infused Maple Syrup Sampler Pack is the best! I know so many people that would appreciate this! I’d love to get a pair of Kitigan Moccasins!!! How beautiful they are!! I love the Kitigan Moccasins and the hand dipped cherries. A Pair of Kitigan Moccasins would fill my stocking very nicely… love them! I would love the hand dipped cherries. I would love the Kitigan Moccasins they look so warm! The Kitigan Moccasins look so warm and comfy! THAT SLATE CHEESE BOARD MAKES A GREAT GIFT! So many super gifts today! The myCharge AmpMax Battery would be my choice and I would have to pick the Chocolaterie Bernard Callebaut for my friend. We don’t buy presents for each other usually, but I know she would love these and would never get them for herself. Oooooo! I love the Kitigan Moccasins, they look toasty! The Spice Post is a great idea & the slate cheese board is gorgeous! I would love the Kitigan Moccassins. They look nice and warm. I would love the maple syrup and the hand dipped cherries – thanks! Oh, the Hand Dipped Cherries are hands-down a winner around here! Everybody loves them! Sweet idea! I would love the Kitigan moccasins. I love the book, Sunrise, Sunset the best, but all are excellent ideas! The spice subscription and the maple syrups – perfect for my foodie step dad who has everything! I’m torn between the moccasins and the infused maple syrup!! I enjoy my pancakes and Maple Syrup goes well with them…. WOW – hard choice…ill go with SPARQ Home Cheese Board as my favorite. The moccasins look so comfy. They’re my favourite. Definitely the Spice Post subscription – fresh spices & new recipes every month… what’s not to love? I love the Hand Dipped Cherries! the kitigan moccasins, and the chocolate dipped cherries. The Hand-Dipped Cherries look delicious! Love, love, love them all! The slate cheese board is a must for the holidays! I would definitely go for the Kitigan moccasins! The wine cooler for sure! I love the Kitigan Moccasins and Pure Infused Maple Syrup. The SPARQ Home Cheese Board is clever and cute. I love it! I love the Spice Post subscription. It just keeps on giving! My best idea is the moccassins, I dimly remember a pair when I was a tyke in the Jurassic age and my in-laws deserve something special. Especially since they’re from Malaysia! i like the infused maple syrup! https://www.facebook.com/KimWeissSunriseSunset# liked the page and the content! 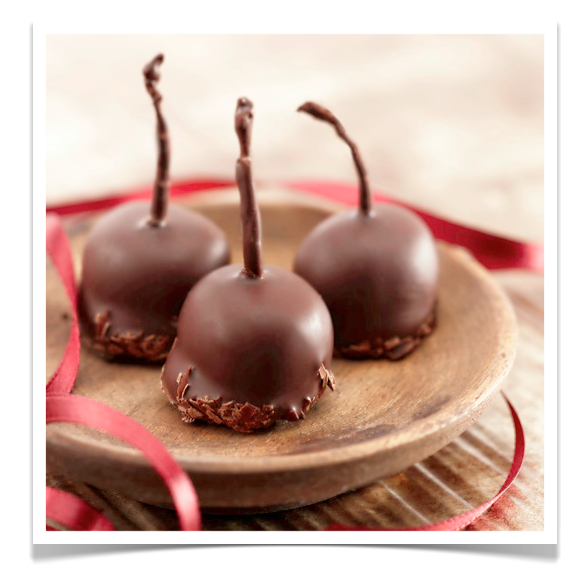 I would like the Hand-Dipped Cherries by Chocolaterie Bernard Callebaut – the chocolate is amazingly good and special! https://www.facebook.com/pages/TEC-Accessories/1412617432340991# glow fobs are great! I LOVE the Kitigan Moccasins – they are just beautiful! @ChocBernCal @CdnGiftGuide the most amazing chocolates ever! My inlaws would love the A Pure Infused Maple Syrup Sampler Pack. They do not live in Canada and they always ask me to send them some! ohhh,I love the Kitigan Moccassins,,would love to receive them as a gift! The myCharge and the moccasins are my faves! RE: OMG, luv The myCharge and the moccasins. Grand. Wow, prize is fab. & splendid. 2 fingers snap. It is tight, fly & off the chain. Thank you for the awesomeness, the contest, and generosity. Pick me, pick me! The A Pair of Kitigan Moccasins is my favorite, so comfy and warm looking! If I could pick only one it would be the moccasins! Love those! Okay the moccasins look awesome, but seriously who doesn’t love chocolate covered cherries and maple syrop? A Pure Infused Maple Syrup Sampler Pack would be my pick but also like the Box of Hand-Dipped Cherries or the of Kitigan Moccasins. Pure Infused Maple Syrup – $25 each (or $25 for a sampler pack, Kitigan Moccasins – ~$129+ for Adult Moccasins. these are my favorites!! @sparqhome http://t.co/n6DbzFEXTi thanks to @CdnGiftGuide for the giveaway. A Pair of Kitigan Moccasins – these look really warm and as my husband says, I have really cold feet. The Kitigan Moccasins!! with bear paws!! The Moccasins are my gift of choice! The Pure Infused Maple Syrups & the Hand Dipped Cherries by Bernard Callebaut are very high on my list to give or to receive. Can’t go wrong with yumminess. Liked Pure Maple Syrup on facebook! I like the moccasins the most! Liked Sunrise, Sunset on facebook! You had me at moccasins and maple syrup! I love the moccasins and the spice post subscription!! 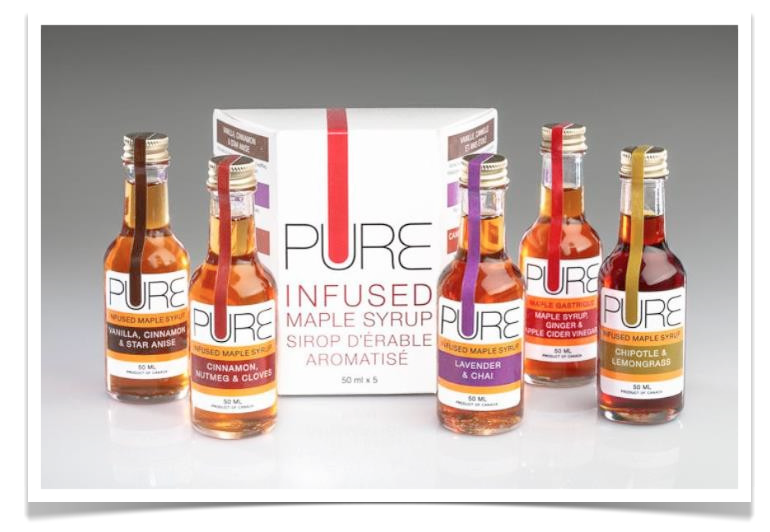 I Love the Pure Infused Maple Syrup Sampler Pack because then you can try an assortment. Thanks for this chance to try some Amazing Products! Love the Foreword shelves and the slate cheese board!! I like the Kitigan Moccasins the most. 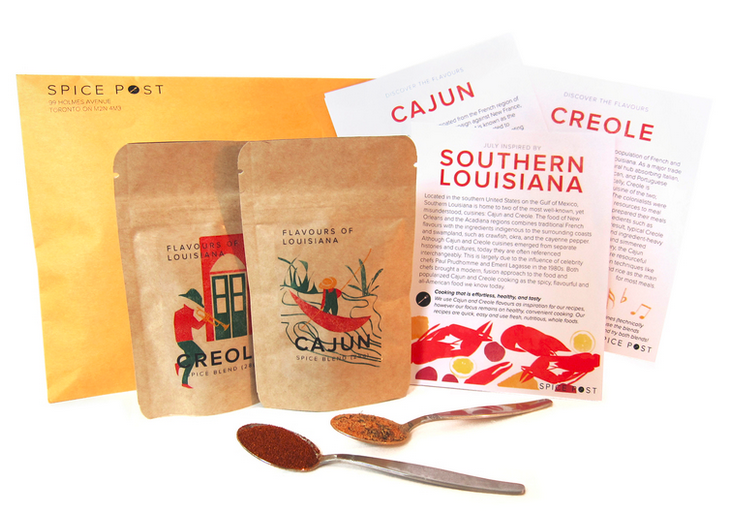 I love the Spice Post subscription – what a great idea! I like the Kitigan Moccasins and the maple syrups. How Canadian can you get. I love the Kitigan Moccasins. A great gift for almost anybody! The Kitigan Moccasins are lovely and so Canadian so for in-laws that live in Europe, these would be a wonderful present. I love the Foreword Shelf! I can’t think of anyone who wouldn’t appreciate a pair of cozy slippers! Who wouldn’t love a pair of Kitigan Moccasins? Following Chocolaterie Bernard Callebaut on Twitter. You don’t know how much I would love to have the Pure Infused Maple Syrup Sampler Pack. I would eat that up so fast. I love all these ideas but I think my fave are the Kitigan Moccasins! Pure infused maple syrup – maple anything is my father-in-law’s favourite! I would be so happy to wake up and find Kitigan Moccasins under my tree! The Spice Post gift is brilliant! That would be my #1 pick. I like the my charge best. I think anybody would like that gift. I would love the wine cooler magisso. Looks interesting. I love the Pure Infused Maple Syrups the best as I’m a total sugar addict especially syrup-laden pancakes! The Spice Post concept is fantastic! A really great idea. The maple syrup and the mocassins are awesome! The spice subscription would be a fun gift for my friend who loves to cook! There are some really helpful ideas here. I hadn’t heard of Kitigan Moccasins before, I like supporting Canadian artisans, then there is the inspirational book, infused maple syrup, chocolate cherries …Christmas shopping is just about done! I love the Kitigan Moccasins! They are beautiful! I love the Maple Syrup! Would love to try it. I’m loving the Wine Cooler! Thanks for the chance to win! the moccasins are my favourite! I’d love the Spice Post Subscription. That would be so fun! I am going to buy the Pure Infused Maple Syrup for my husband for Christmas this year. I always try to buy him something useful and I am starting to learn that if its edible it will be a hit! Great selection for sure! I’d be eyeing up the slate cheese board love it! I would love the maple syrup! The forward shelf and the spice post subscription. I love to cook and those spices would pack a punch of flavour! I love the Slate Cheese Board most! I like the Kitigan Moccasins and Spice Post Subscription. My inlaws would love the portable charger! I love the maple syrup idea best-because who doesn’t love maple syrup?-great idea! I like the Kitigan Moccasins and the Hand Dipped Cherries from this list. I love the maple syrup, the moccasins and the hand-dipped chocolate cherries! I would love to have the Spice subscription! I love cooking and I just think that it would be so much fun! I like the Pure Infused Maple Syrup and the Hand-Dipped Cherries. Yum! I LOVE all of these gift ideas!! My fav is A Pair of Kitigan Moccasins!! Thank you for the chance to win this amazing prize package, You always feature the BEST products on your blog. Definitely the hand dipped cherries, closely followed by the moccasins. Oh, definitely the hand dipped cherries! I can’t get enough of cherry anything. I would love the 9-piece Box of Hand-Dipped Cherries best of course! I love the Pure Infused Maple Syrup Sampler Pack. I would have a hard time not keeping it for myself. The moccasins!!! Instantly took me back to my childhood, I had a pair as a young girls and I love them would love another pair!! The Kitigan Moccasins are my favourite. They are beautiful. The maple syrup sampler is a fab idea, for anyone really! Thanks for the giveaway! That spice post subscription would be such a great gift to give or get!